Cape Girardeau Dental Care strives to help patients achieve the healthy, beautiful smile they deserve, while helping them understand the financial aspects of their treatment. The cost of your treatment will vary depending on your individual needs and treatment plan. Our staff will discuss with you the cost of your treatment, and each of your available payment plan options, so that you are able to make the best choice for you and your smile. We will work with you to create a payment plan that fits your budget, and you will know what to expect before beginning treatment. We believe in taking a straightforward approach to financial questions, including FREE one-on-one treatment planning appointments with Dr. Kaelin and Dr. Straus. We have financial experts on hand that can help explain treatment costs, insurance benefits, Care Credit or Lending Club, and additional financial options. As a courtesy to our patients, we file claims to your insurance company so you don't have to! Our staff is always available to help you with insurance claims and paperwork, and you can always setup a FREE consultation to discuss your insurance benefits and treatment options. We gladly accept most insurances! 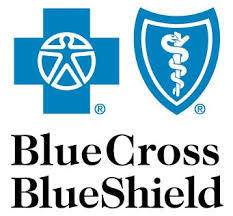 We are currently in network with Delta Dental, Guardian, Blue Cross/Blue Shield, and Humana. As an additional courtesy to our Cigna patients, Cape Girardeau Dental Care also participates in the Cigna Dental Network Savings Program. This program enables plan enrollees to receive discounts for covered services from a dentist participating in the program. Please let us know if you have any questions about your insurance coverage or ideas for how we can make your entire experience a pleasant one! Our practice accepts Visa, Mastercard, and Discover credit cards as well as most insurance plans. We also offer Care Credit and Lending Club, please feel free to fill out the online application or setup an appointment to have one of our financial experts help you! Call us TODAY to setup a FREE Consultation!